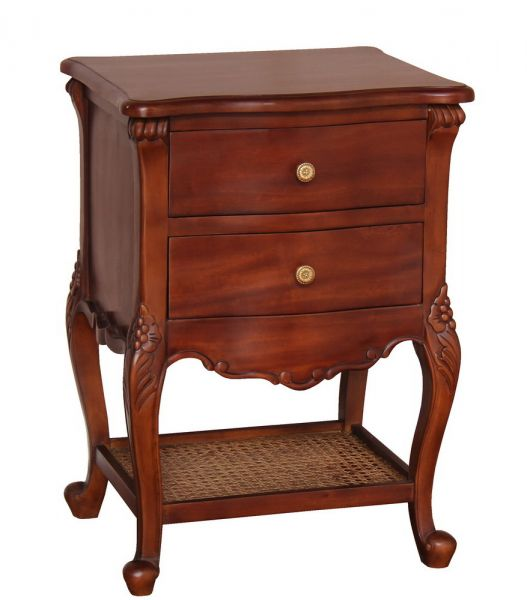 A beautifully styled two drawer bedside chest hand made from mahogany and with a painted finish. 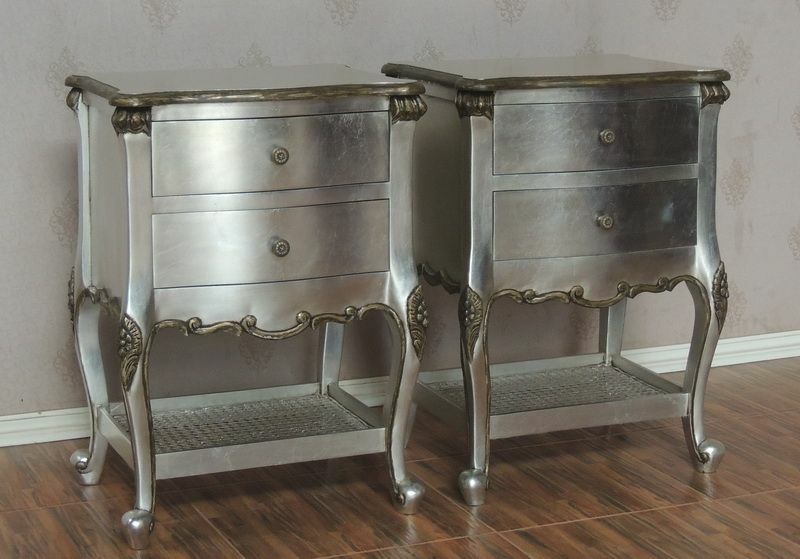 Shown here in light french grey and mahogany but many other colours are available including silver leaf with highlights as shown for a small extra cost. Finished with hand carvings and a rattan shelf below. 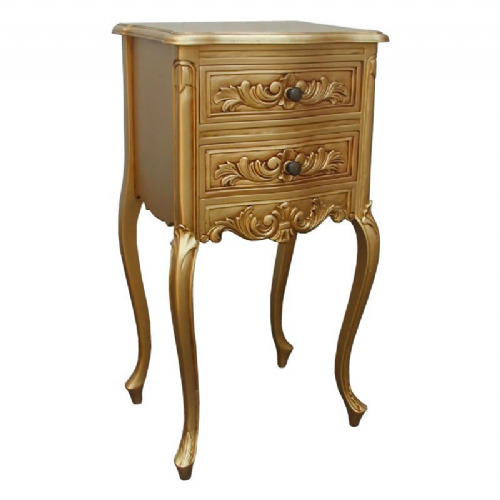 Both drawers are finished with antiqued brass handles. 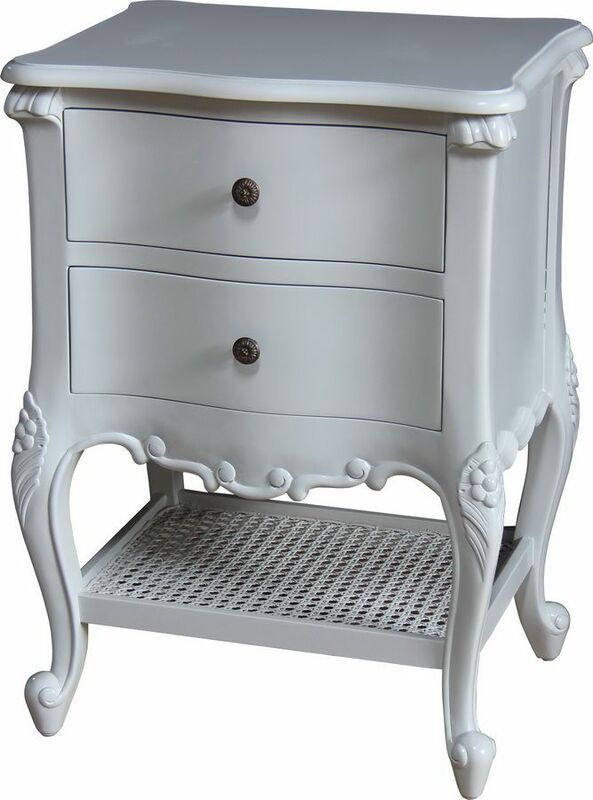 Colour/Finish: Antique White, Mahogany, White with gold highlights, Black, other finishes to order.